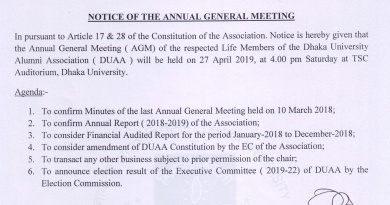 In pursuant to Article 17 & 28 of the Constitution of the Association. 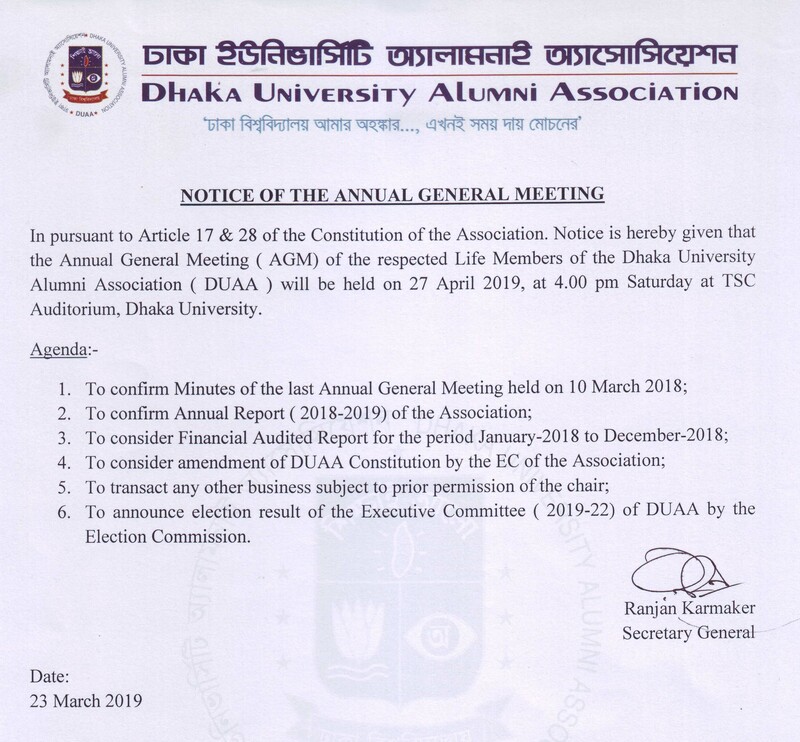 Notice is hereby given that the Annual General Meeting ( AGM) of the respected Life Members of the Dhaka University Alumni Association ( DUAA ) will be held on 27 April 2019, at 4.00 pm Saturday at TSC Auditorium, Dhaka University. 6. 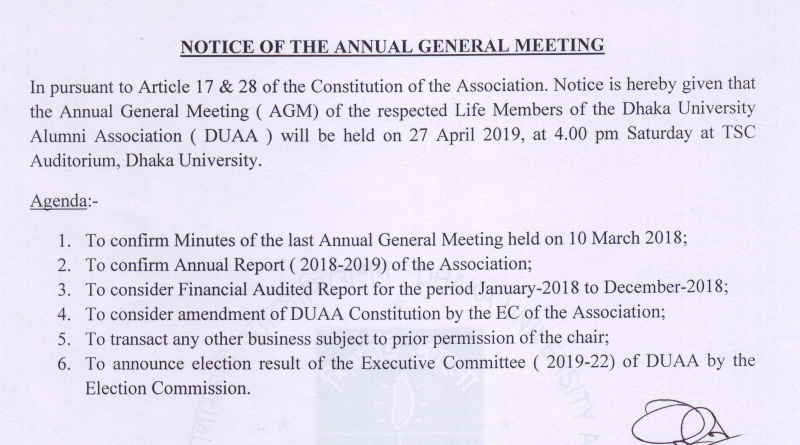 To announce election result of the Executive Committee ( 2019-22) of DUAA by the Election Commission.